The Presidency’s staff strength of 998 already criticised as “absurd” could hit 1,697. “That is the plan of the Akufo-Addo government for the year 2018”, National Democratic Congress MP for North Tongu, Samuel Okudzeto Ablakwa, told Joy News Monday. “If Ghanaians are worried about 998, that is not going to be the end of the matter”, he continued. Referring to Appendix 7 of the 2018 budget, he told Ghanaians to expect a 699 staff top up on the current 998 employees which has been a subject of shock and ridicule on social media. Head of IMANI, a policy think-tank, Franklin Cudjoe has said serial facebookers have been employed as political appointees. Samuel Okudzeto believes “the number could be more”, explaining there are officials he knows to work at the Jubilee House whose names are not on the list of 998 staff. He drew parallels with the UK government where he says the Prime minister Theresa May had 170 working at Number 10 Downing Street. The NDC MP also observed that the budget allocated to pay wages of the staff at the presidency has jumped from 79.3m cedis to 119.6m cedis. It represents more than a 50% increase over one year. “This is really, really absurd”, the opposition politician who served in the Mahama government which employed 678 at the presidency said. Another NDC MP Clement Apaak said he was flabbergasted after the list was presented to Parliament last week Friday. They believe the President’s mantra of protecting the public purse is no longer tenable. But shooting back, the Information minister has said although the Akufo-Addo presidency has employed more, it is spent less than its predecessor, the Mahama administration. He has revealed that while the Mahama administration employed lesser numbers, it spent 1.5bn cedis more than the Akufo-Addo government. In the past when similar public outcry over his appointment of 110 ministers emerged, the president said results will justify the numbers. It is an explanation which the North Tongu MP has described as “annoying”. He explained the government is already in two years arrears of its electoral promise to give each constituency $1m every year. With the government saddled with $550m debt to the 275 constituencies, the NDC MP is convinced the government will not deliver on this promise. 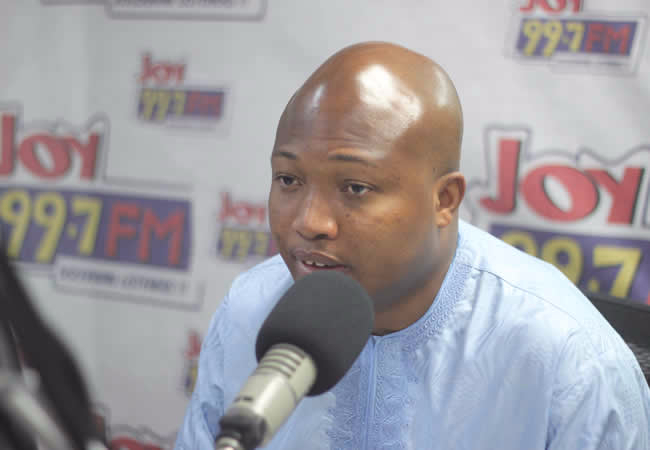 Adding to his list of undelivered promises, Okudzeto Ablakwa pointed to the failure of the government to roll out 51 factories it promised to set up by 2017. “All deliverables have not been met”, he charged. The NDC MP said if the government has found monies to pay salaries then it should focus on recruiting more nurses and doctors. “Why not we rather employ the ordinary people who also voted for you”, he said and trumpeted the former government’s recruitment of 7,500 teachers after it found space on the payroll in 2016. “We employed Maths and Science teachers”, the former deputy Education minister said. “Look at the doctor to patient ratio…and yet our president is packing the Jubilee House” he expressed frustration. He said the President’s abuse of his powers requires an amendment of the Presidential Office Act 463 to limit the number of staffs that can be appointed to work at the Presidency. He also called for an amendment of Article 78(2) which allows that the President “shall appoint such number of Ministers of State as may be necessary for the efficient running of the State”. He said the law has been used as a pretext by President Nana Akufo-Addo to assemble the largest executive team in Ghana’s history.